A Ladybug first birthday. 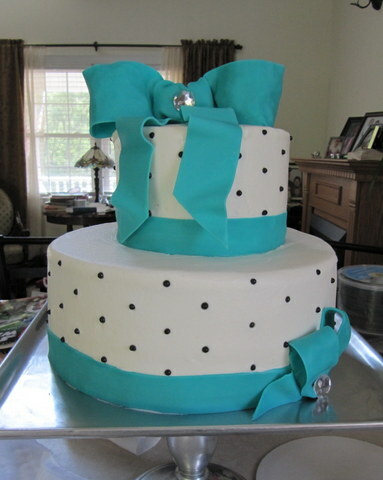 Bottom tier is 10″ white cake with vanilla buttercream. 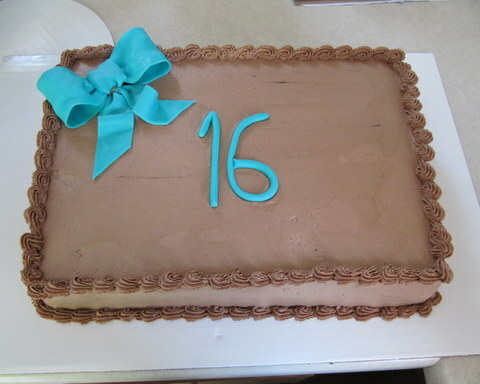 Top tier is 6″ chocolate with vanilla buttercream. Smash cake is white cake with red and black vanilla buttercream. 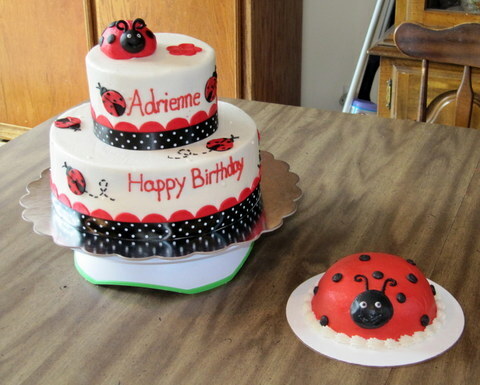 Ladybugs and border are handmade from fondant. White cake with buttercream icing. Chocolate sheet cake with chocolate icing. Bows, ribbons ans numbers are hand made from fondant. Black edible pearls.